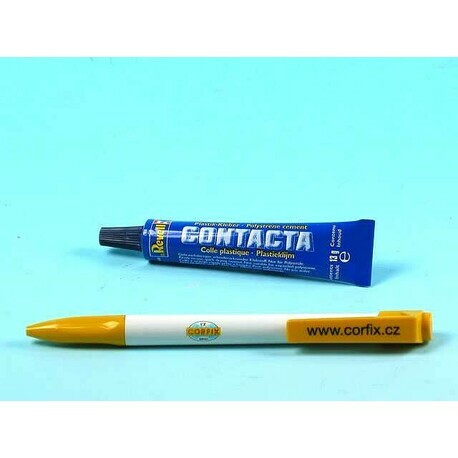 Revell Contacta is a gel glue in the tube. Its advantage is that you can place large parts even before the glue dries. Not suitable for expanded polystyrene. Apply the adhesive to the bonded surfaces and press gently with one another. The joint sleeps 5-10 minutes, hardens 6 hours. . Warning! Contains: n-Butyl acetate. Flammable liquid and vapors. May cause drowsiness or dizziness. Not suitable for children under 8 years of age. Children may only use the product under the supervision of an adult.